Time to show off with your ankles too as you do with your wrists while you are wearing a bracelet! This can quickly be done by wearing the anklets that can be said the ankle bracelets and are a fun jewelry piece! Just like the other jewelry pieces, the anklets are also very popular around the globe and are mostly worn to adorn your ankles beautifully! The very good news is that you can also make the beautiful anklets at home just like the other jewelry items like the earrings and necklaces! 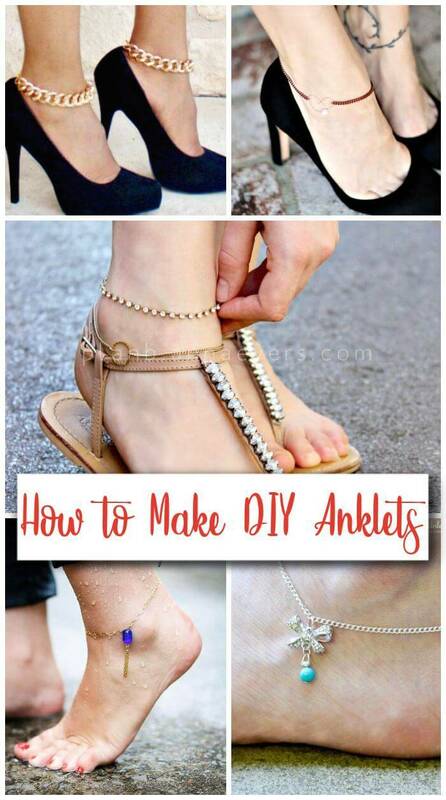 Before you go ahead to make some anklets at home, we would like to give you some great tips and tricks in the form of these DIY Anklets with step by step Tutorials that will show that you can make several different designs of anklets at home like a pro! All these anklets will lift the mood of your ankles while going for beach visits or picnics and will boost your summer fashion! All these anklet designs are super comfortable and straightforward to make, and they are sure to increase your style! Moreover, these anklets will also add a great finishing touch to your summer outfit and can also be paired with the shoes for more prominent fashion statements! 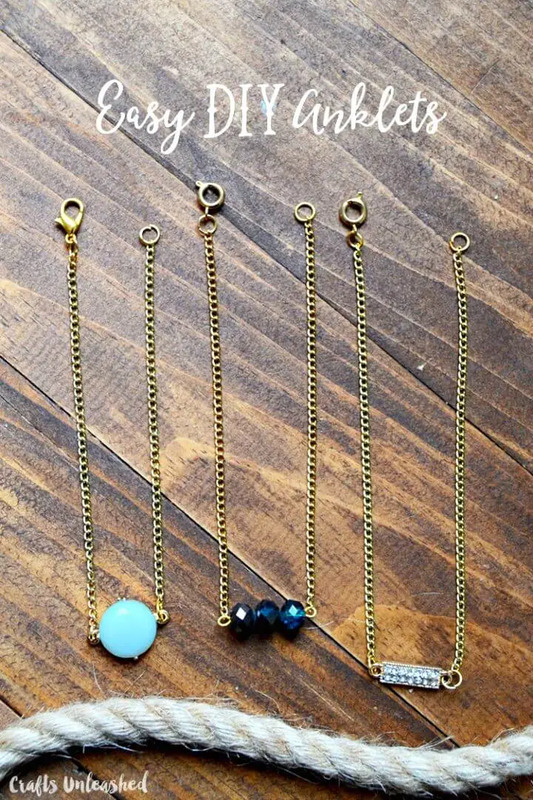 Make the beaded anklets at home using the custom jewelry chains, bead caps, and bead and also spruce up your ankles by making gold chain anklets that may come with wire initials to look exceptional and outstanding, check out a rare sample given below and do try to duplicate it! 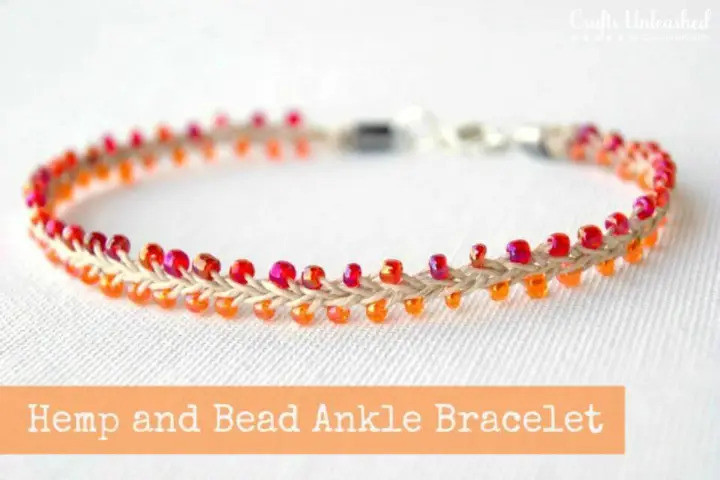 If you want to give some colors to your ankles, then you can also make the beaded anklets at home that will rock your ankles and shoes and will also match perfectly to your outfits for more prominent style statements! Make even the bow anklets just like the necklaces and cute up your ankles while going barefooted on the beach! Make the heavy chain anklets that will go rocking with your heels and will be super easy to make! Next also choose the custom beads to make some glam looking anklets that will go outstanding around your ankles and also make beautiful wish anklets that will too rock as bracelets and will be super easy to make! 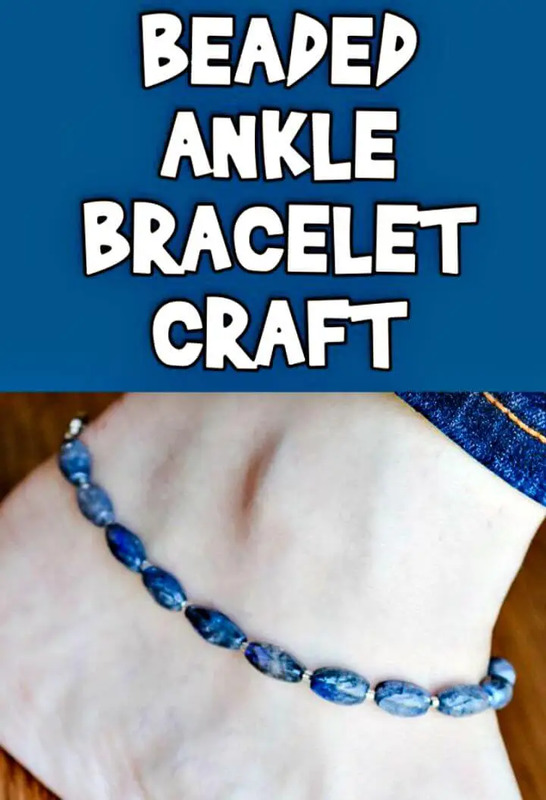 All these anklets are too innovative to win the heart of a jewelry lover and will demand no higher skills, and just everyone can try making them at home without getting a bit complicated! 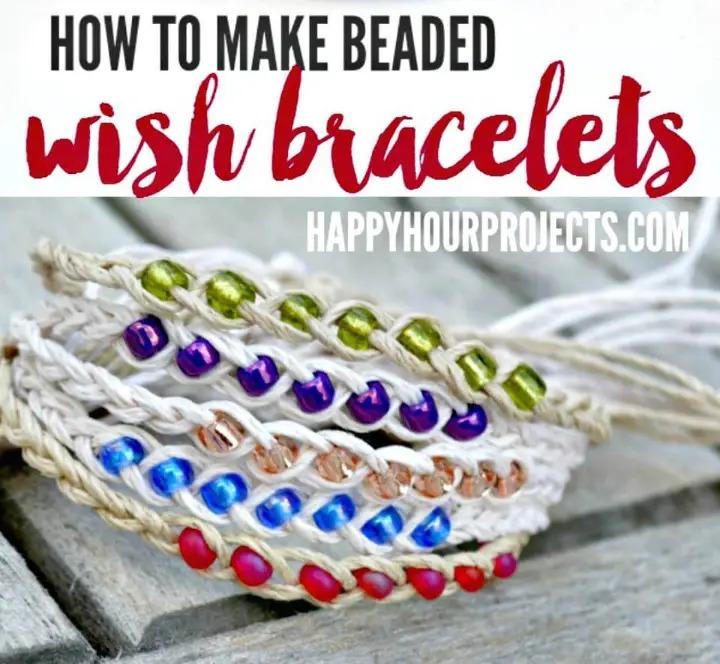 Next, you can also braid the custom materials like twine and rope to make custom anklets that will bring custom style statements to your anklets and would be a big breeze to make at home! Duplicate any of the given anklet design via free provided instructions and easy tutorials that will be available on a single click on the respective attached links!